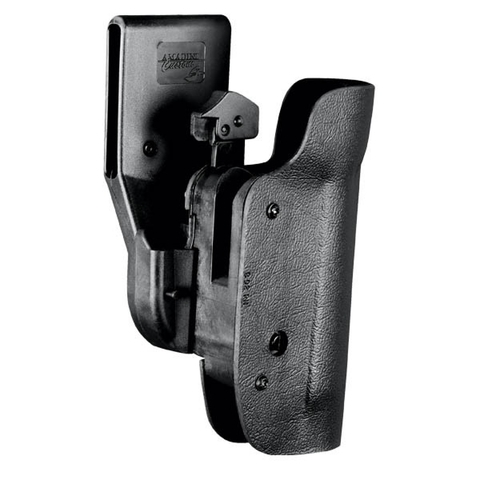 The GHOST III holster has been specifically designed for military and law enforcement use. The holsters are subject to the most rigorous tests regarding safety systems, durability and materials. Our customers demand only the best and we work closely together with them to give them just that. Our locking system, modular design and rotation feature was and still is the most innovative step forward in the design of duty gear. It is available for the most popular weapon models used by military and law enforcement worldwide. 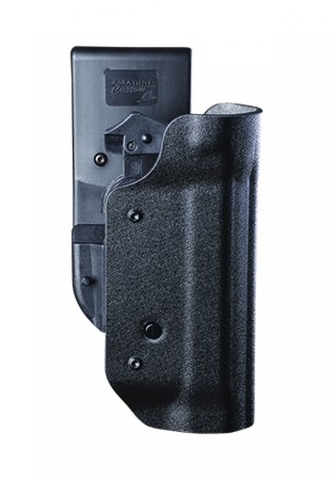 weapon extraction from the GIII holster is instinctive and extremely quick due to natural movement of the hand. No special training is required and the shooting hand automatically has the correct position on the gun. Test results show a 50% increase in speed when compared with the more traditional holsters. the weapon is automatically set in safety position when holstered. 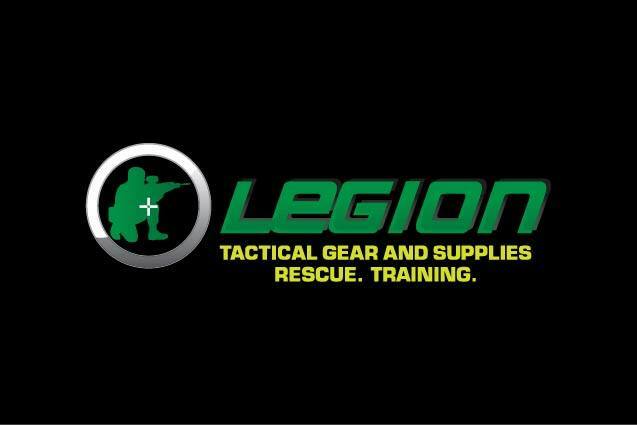 We give a 100% guarantee that the weapon can’t be lost during a stress situation in which the chance of forgetting a manual safety is extremely high.